Racking systems are designed for use in industrial, manufacturing and storage facilities to increase or improve the storage space, or to make optimal use of a limited storage space. There are many types of storage racking systems to choose from, which includes various specially engineered racks that satisfy both several standard racking and special racking requirements. 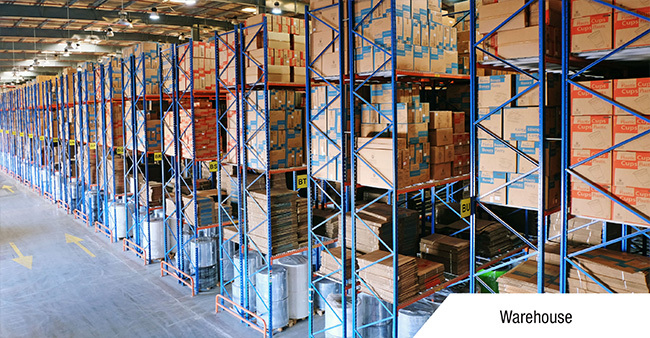 Pallet racking systems are material and product storage systems that are designed to store huge quantities of material, products and equipment on multi-level horizontal storage rows. There are many types of racking systems, the most common of which include selective pallet racking, double deep racking, drive-in or drive-thru racking, deep reach racking, push-back racking, narrow-aisle racking, coil-storage racking, die-storage racking, carton flow racking, cantilever racking and heavy-duty racking systems. Out of all these types, selective pallet racking systems are the most commonly used type, in most warehouses or storage facilities. This type of racking system is extremely popular because it is cost-effective (affordable), easy to install and allows easy access to storage to the users. 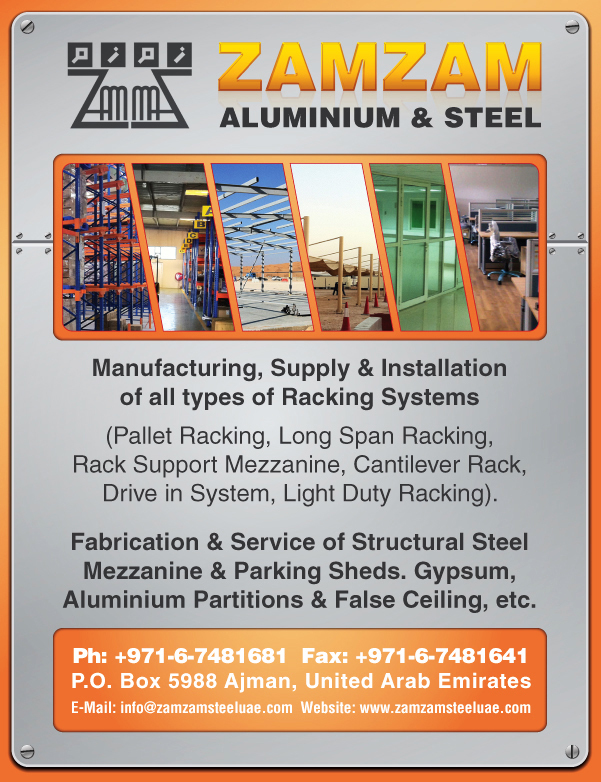 Most storage facilities use one or a mixture of a few types of these racking systems in UAE. They all kinds of storage from raw materials and semi-finished products to finished products and packaged goods. They type and applications of racking systems in UAE, in almost every storage facility depends of several criteria or factors like space availability, output and other specifications like accessibility. Manufactures that supply their racking systems in UAE, through their outlets or retailers offer top-grade products as well professional installation services. These racking system manufacturers and suppliers deal with major clients in various market sectors from tyre producers to other large scale manufacturing establishments. They cater to warehouses and storage facilities around the Emirates from their establishments in the New Ajman Industrial Area, Electra Street in Abu Dhabi and Al Khabaisi in Deira, Dubai.